For articles about the phrase, see Say it ain't so, Joe (disambiguation). "Black Sox" redirects here. For other uses, see Black Sox (disambiguation). Despite acquittals in a public trial in 1921, Judge Landis permanently banned all eight men from professional baseball. The punishment was eventually defined to also include banishment from post-career honors such as consideration for the Baseball Hall of Fame. Despite requests for reinstatement in the decades that followed (particularly in the case of Shoeless Joe Jackson), the ban remains in force. Because of baseball's reserve clause, any player who refused to accept a contract was prohibited from playing baseball on any other professional team. Players could not change teams without permission from their current team, and without a union the players had no bargaining power. Comiskey was probably no worse than most owners—in fact, Chicago had the largest team payroll in 1919. In the era of the reserve clause, gamblers could find players on many teams looking for extra cash—and they did. A meeting of White Sox ballplayers—including those committed to going ahead and those just ready to listen—took place on September 21, in Chick Gandil's room at the Ansonia Hotel in New York. Buck Weaver was the only player to attend the meetings who did not receive money. Nevertheless, he was later banned with the others for knowing about the fix but not reporting it. Although he hardly played in the series, utility infielder Fred McMullin got word of the fix and threatened to report the others unless he was in on the payoff. As a small coincidence, McMullin was a former teammate of William "Sleepy Bill" Burns, who had a minor role in the fix. Both had played for the Los Angeles Angels of the Pacific Coast League, and Burns had previously pitched for the White Sox in 1909 and 1910. Star outfielder Shoeless Joe Jackson was mentioned as a participant but did not attend the meetings, and his involvement is disputed. The scheme got an unexpected boost when the straitlaced Faber could not pitch due to a bout with the flu. 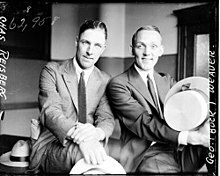 Years later, Schalk said that if Faber had been available, the fix would have likely never happened, since Faber would have almost certainly started games that went instead to two of the alleged conspirators, Eddie Cicotte and Lefty Williams. On October 1, the day of Game One, there were rumors amongst gamblers that the series was fixed, and a sudden influx of money being bet on Cincinnati caused the odds against them to fall rapidly. These rumors also reached the press box where a number of correspondents, including Hugh Fullerton of the Chicago Herald and Examiner and ex-player and manager Christy Mathewson, resolved to compare notes on any plays and players that they felt were questionable. After throwing a strike with his first pitch of the Series, Cicotte's second pitch struck Cincinnati leadoff hitter Morrie Rath in the back, delivering a pre-arranged signal confirming the players' willingness to go through with the fix. In the fourth inning, Cicotte made a bad throw to Swede Risberg at second base. Sportswriters found the unsuccessful double play to be suspicious. Lefty Williams, one of the "Eight Men Out", lost three games, a Series record. Dickie Kerr, who was not part of the fix, won both of his starts. But the gamblers were now reneging on their promised progress payments (to be paid after each game lost). The gamblers claimed that all the money was let out on bets, and was in the hands of the bookmakers. After Game 5, the players who were in on the fix went back to their normal way of playing and won Games 6 and 7 of the best-of-nine Series. Before Game 8, threats of violence were made on the gamblers' behalf. Williams started Game 8, but gave up four straight one-out hits for three runs before manager Kid Gleason relieved him. The White Sox lost Game 8 (and the series) on October 9, 1919. Besides Weaver, the players involved in the scandal received $5,000 each or more, with Gandil taking $35,000. The rumors dogged the White Sox throughout the 1920 season as they battled the Cleveland Indians for the American League pennant, and stories of corruption touched players on other clubs as well. At last, in September 1920, a grand jury was convened to investigate; Eddie Cicotte confessed to his participation in the scheme to the grand jury on September 28. The grand jury handed down its decision on October 22, 1920, and eight players and five gamblers were implicated. The indictments included nine counts of conspiracy to defraud. 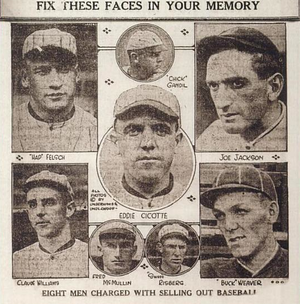 The ten players not implicated in the gambling scandal, as well as manager Kid Gleason, were each given bonus checks in the amount of $1,500 (equivalent to $18,800 in 2018) by Comiskey in the fall of 1920, the amount equaling the difference between the winners' and losers' share for participation in the 1919 World Series. The trial began on June 27, 1921 in Chicago, but was delayed by Judge Hugo Friend because two defendants, Ben Franklin and Carl Zork, claimed to be ill. Player Shano Collins was named as the wronged party in the indictments, accusing his corrupt teammates of having cost him $1,784 as a result of the scandal. Before the trial, key evidence went missing from the Cook County courthouse, including the signed confessions of Cicotte and Jackson, who subsequently recanted their confessions. Some years later, the missing confessions reappeared in the possession of Comiskey's lawyer. On July 1, the prosecution announced that former White Sox player "Sleepy Bill" Burns, who was under indictment for his part in the scandal, had turned state's evidence and would testify. During jury selection on July 11, several members of the current White Sox team, including Manager Kid Gleason, visited the courthouse, chatting and shaking hands with the indicted ex-players; at one point they even tickled Buck Weaver, who was known to be quite ticklish. Jury selection took several days, but on July 15 twelve jurors were finally empaneled in the case. White Sox President Charles Comiskey was then called to the stand, and became so agitated with questions being posed by the defense that he rose from the witness chair and shook his fist at the defendants' counsel, Ben Short. The most explosive testimony began the following day, July 19, when "Sleepy Bill" Burns took the stand, admitting that members of the White Sox had intentionally fixed the 1919 World Series; Burns mentioned the involvement of Rothstein among others, and testified that Eddie Cicotte had threatened to throw the ball clear out of the park if needed to lose a game. After additional testimony and evidence, on July 28 the defense rested and the case went to the jury. The jury deliberated for less than three hours before returning verdicts of not guilty on all charges for all of the accused players. Judge Kenesaw Mountain Landis signs the agreement to become Commissioner of Baseball, November 12, 1920. Long before the scandal broke, many of baseball's owners had nursed longstanding grievances with the way the game was then governed by the National Commission. The scandal and the damage it caused to the game's reputation gave owners the resolve to make major changes to the governance of the sport. The owners' original plan was to appoint the widely respected federal judge and noted baseball fan Kenesaw Mountain Landis to head a reformed National Commission. When Landis made it clear to the owners that he would only accept an appointment as the game's sole Commissioner, and even then only on the condition that he be granted essentially unchecked power over the sport, the owners agreed to appoint him as the first Commissioner of Baseball with virtually unlimited authority over every person in both the major and minor leagues. Upon taking office prior to the 1921 Major League Baseball season, one of Landis' first acts as Commissioner was to use the unprecedented powers granted to him by the owners to place the eight accused players on an "ineligible list", a decision that effectively left them suspended indefinitely from all of professional baseball. Regardless of the verdict of juries, no player who throws a ball game, no player who undertakes or promises to throw a ball game, no player who sits in confidence with a bunch of crooked ballplayers and gamblers, where the ways and means of throwing a game are discussed and does not promptly tell his club about it, will ever play professional baseball again. Making use of a precedent that had previously seen Babe Borton, Harl Maggert, Gene Dale, and Bill Rumler banned from the Pacific Coast League for match fixing, Landis made it clear that all eight accused players would remain on the "ineligible list", banning them from organized baseball. The Commissioner took the line that while the players had been acquitted in court, there was no dispute they had broken the rules of baseball, and none of them could ever be allowed back in the game if it were to regain the trust of the public. Comiskey supported Landis by giving the seven who remained under contract to the White Sox their unconditional release. Landis, relying upon his years of experience as a Federal Court Judge and attorney, used this decision (this "case") as the founding precedent (of the reorganized league) for the Commissioner of Baseball, to be the highest, and final authority over this organized professional sport in the United States. He established the precedent, that the Commissioner of Baseball was invested by the league with plenary power; and the responsibility, to determine the fitness or suitability of anyone, anything, or any circumstance, to be associated with professional baseball, past, present, and future. Arnold "Chick" Gandil, first baseman. The leader of the players who were in on the fix. He did not play in the majors in 1920, playing semi-pro ball instead. In a 1956 Sports Illustrated article, he expressed remorse for the scheme, but wrote that the players had actually abandoned it when it became apparent they were going to be watched closely. According to Gandil, the players' numerous errors were a result of fear that they were being watched. Eddie Cicotte, pitcher. Admitted involvement in the fix. Oscar "Happy" Felsch, center fielder. 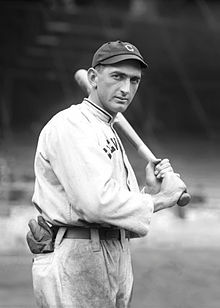 "Shoeless" Joe Jackson, the star outfielder, one of the best hitters in the game, confessed in sworn grand jury testimony to having accepted $5,000 cash from the gamblers. He later recanted his confession and protested his innocence to no effect until his death in 1951. The extent of Jackson's collaboration with the scheme is hotly controversial. Fred McMullin, utility infielder. McMullin would not have been included in the fix had he not overheard the other players' conversations. He threatened to tell all if not included. His role as team scout may have had more impact on the fix, since he saw minimal playing time in the series. Charles "Swede" Risberg, shortstop. Risberg was Gandil's assistant and the "muscle" of the playing group. He went 2-for-25 at the plate and committed four errors in the series. George "Buck" Weaver, third baseman. Weaver attended the initial meetings, and while he did not go in on the fix, he knew about it. In an interview in 1956, Chick Gandil said that it was Weaver's idea to get the money up front from the gamblers. Landis banished him on this basis, stating "Men associating with crooks and gamblers could expect no leniency." On January 13, 1922, Weaver unsuccessfully applied for reinstatement. Like Jackson, Weaver continued to profess his innocence to successive baseball commissioners to no effect. Claude "Lefty" Williams, pitcher. Went 0–3 with a 6.63 ERA for the series. Only one other pitcher in baseball history, reliever George Frazier of the 1981 New York Yankees has ever lost three games in one World Series. The third game Williams lost was Game Eight – baseball's decision to revert to a best of seven Series in 1922 significantly reduced the opportunity for a pitcher to obtain three decisions in a Series. The indefinite suspensions imposed by Landis in relation to the Black Sox Scandal were the most suspensions of any duration to be simultaneously imposed until 2013 when thirteen player suspensions of between 50 and 211 games were announced following the doping-related Biogenesis scandal. The extent of Joe Jackson's part in the conspiracy remains controversial. Jackson maintained that he was innocent. He had a Series-leading .375 batting average – including the Series' only home run – threw out five baserunners, and handled 30 chances in the outfield with no errors. In general, baseball players perform worse in games their team loses, and Jackson batted worse in the five games that the White Sox lost, with a batting average of .286 in those games. This was still an above-average batting average (the National and American Leagues hit a combined .263 in the 1919 season). Jackson hit .351 for the season, fourth best in the major leagues (his .356 career batting average is the third best in history, surpassed only by his contemporaries Ty Cobb and Rogers Hornsby). Three of his six RBIs came in the losses, including the aforementioned home run, and a double in Game 8 when the Reds had a large lead and the series was all but over. Still, in that game a long foul ball was caught at the fence with runners on second and third, depriving Jackson of a chance to drive in the runners. One play in particular has been subjected to scrutiny. In the fifth inning of Game 4, with a Cincinnati player on second, Jackson fielded a single hit to left field and threw home, which was cut off by Cicotte. 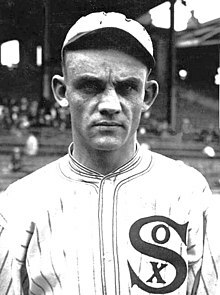 Chick Gandil, another leader of the fix, later admitted to yelling at Cicotte to intercept the throw. The run scored and the White Sox lost the game, 2–0. Cicotte, whose guilt is undisputed, made two errors in that fifth inning alone. Although many believe the Black Sox name to be related to the dark and corrupt nature of the conspiracy, the term "Black Sox" may already have existed before the fix. There is a story that the name "Black Sox" derived from parsimonious owner Charles Comiskey's refusal to pay for the players' uniforms to be laundered, instead insisting that the players themselves pay for the cleaning. As the story goes, the players refused and subsequent games saw the White Sox play in progressively filthier uniforms as dirt, sweat and grime collected on the white, woolen uniforms until they took on a much darker shade. Comiskey then had the uniforms washed and deducted the laundry bill from the players' salaries. On the other hand, Eliot Asinof in his book Eight Men Out makes no such connection, mentioning the filthy uniforms early on but referring to the term "Black Sox" only in connection with the scandal. Mark Allen Baker's book The Fighting Times of Abe Attell is the first biography on the former featherweight champion and details his life and relationship to the scandal. Dan Elish's book The Black Sox Scandal of 1919 gives a general overview of the events involved while not going in-depth about any particular area of the scandal. The Black Sox Scandal: The History And Legacy Of America's Most Notorious Sports Controversy by Charles River Editors talks about the events surrounding the scandal and gives a detailed description of each person involved in the scandal. "Ballet for Opening Day: The Swede Was a Hard Guy" Algren, Nelson. The Southern Review, Baton Rouge. Spring 1942: pg 873. In fifth season of Mad Men, Roger Sterling tries LSD for the first time and hallucinates that he is at the infamous game. In the second season of Frankie Drake Mysteries, morality officer Mary Shaw mentions the scandal while helping Frankie investigate the murder of a player with circumstances related to gambling. The story of the scandal was retold by Katie Nolan in the sixth season of Drunk History. 1919: A Baseball Opera, is a musical by Composer/lyricist Rusty Magee and Rob Barron, which premiered in June of 1981 at Yale Repertory Theatre. The Fix is an opera by composer Joel Puckett with libretto by Eric Simonson, which premiered March 16, 2019 at the Ordway Center for the Performing Arts . "It ain't true, is it, Joe?" "Yes, kid, I'm afraid it is", Jackson replied. The boys opened a path for the ball player and stood in silence until he passed out of sight. "Well, I'd never have thought it," sighed the lad. In an interview in Sport nearly three decades later, Jackson confirmed that the legendary exchange never occurred. ^ Owens, John. "Buck Weaver's family pushes to get 'Black Sox' player reinstated". chicagotribune.com. Retrieved 2018-01-23. ^ "The Black Sox". chicagohs.org. Archived from the original on November 24, 2014. Retrieved December 8, 2014. ^ Douglas Linder (2010). "The Black Sox Trial: An Account". ^ "The White Sox at". 1919blacksox.com. Archived from the original on July 26, 2009. Retrieved August 6, 2009. ^ "Baseball Reference". Retrieved 11 December 2018. ^ Weschler, Lawrence (2016-09-14). "The Discovery, and Remarkable Recovery, of the King Tut's Tomb of Silent-Era Cinema". Vanity Fair. ^ Linder, Douglas (2010). "The Black Sox Trial: An Account". Law.umkc.edu. Retrieved November 4, 2016. Asinof's Eight Men Out includes a dramatic, but entirely fictional, report of what happened before the Game Eight. Asinof admitted in 2003 that the story was made up ... Threats were, however, made. ^ "1919 World Series". baseball-reference.com. Retrieved June 11, 2013. ^ a b "Chicotte Tells What His Orders Were in Series". Minnesota Daily Star. September 29, 1920. p. 5. ^ a b c Linder, Douglas. "Famous American Trials". The Black Sox Trial: An Account. Retrieved March 29, 2011. ^ "Honest White Sox Get $1,500 Apiece for 1919 Loses". Minnesota Daily Star. October 5, 1920. p. 5. ^ "New Setback Halts Ball Players' Trial". The New York Times. June 28, 1921. p. 7. Retrieved 11 December 2018. ^ Linder, Doug (July 5, 1921). "Indictment & Bill of Particulars in People of Illinois v Cicotte (The Black Sox Trial): Indictments". Law.umkc.edu. Archived from the original on May 24, 2009. Retrieved August 6, 2009. ^ Eight Men Out. pp. 289–291. ^ "Ex-White Sox Player Turns State Evidence". The New York Times. July 2, 1921. p. 7. Retrieved 11 December 2018. ^ "WHITE SOX PLAYERS GREET INDICTED MEN". The New York Times. 12 July 1912. p. 13. Retrieved 11 December 2018. ^ "Jury is Completed for Baseball Trial". The New York Times. July 16, 1921. p. 5. Retrieved 11 December 2018. ^ "CAME NEAR BLOWS AT BASEBALL TRIAL". The New York Times. July 19, 1921. p. 16. Retrieved 11 December 2018. ^ "BURNS TELLS STORY OF PLOT TO THROW 1919 WORLD SERIES". The New York Times. July 20, 1921. p. 1. Retrieved 11 December 2018. ^ "DEFENSE RESTS CASE IN BASEBALL TRIAL". The New York Times. July 29, 1921. p. 28. Retrieved 11 December 2018. ^ "The Chicago Black Sox banned from baseball". ESPN. November 19, 2003. Retrieved January 11, 2011. ^ Gene Dale at the SABR Baseball Biography Project, by Bill Lamb, Retrieved January 10, 2013. ^ Chick Gandil at the SABR Baseball Biography Project, by Daniel Ginsburg, Retrieved February 2, 2009. ^ Gandil, Arnold (Chick) (September 17, 1956). "This is My Story of the Black Sox Series". Sports Illustrated. ^ Joe Gedeon at the SABR Baseball Biography Project, by Rick Swaine, Retrieved August 6, 2009. ^ "League Year-by-Year Batting". Baseball-Reference.com. Retrieved April 6, 2010. ^ "Shoeless Joe Jackson Statistics and History". Baseball-Reference.com. ^ Burns, Ken (Director) (1994). Baseball: Inning 3 (PBS Television miniseries). PBS. Archived from the original on May 1, 2015. Retrieved May 24, 2015. ^ ""Black Sox" trial, 1921: "Say it ain't so, Joe"". Retrieved December 30, 2015. ^ "'It Ain't True, Is It, Joe?' Youngster Asks". Minnesota Daily Star. September 29, 1920. p. 5. ^ "Shoeless Joe Jackson Virtual Hall of Fame – 1949 Sport Magazine Interview". Black Betsy. This page is based on the Wikipedia article Black Sox Scandal; it is used under the Creative Commons Attribution-ShareAlike 3.0 Unported License (CC-BY-SA). You may redistribute it, verbatim or modified, providing that you comply with the terms of the CC-BY-SA.